AG Barr, the UK-based soft drinks group, has reported a 5.6% increase in total revenue to £279.0 million and a 2.5% rise in profit before tax and exceptional items to £45.2 million for the 52 weeks ended 26 January 2019. However, operating margin before exceptional items at 16.4% was down by 66 bps on the previous year. 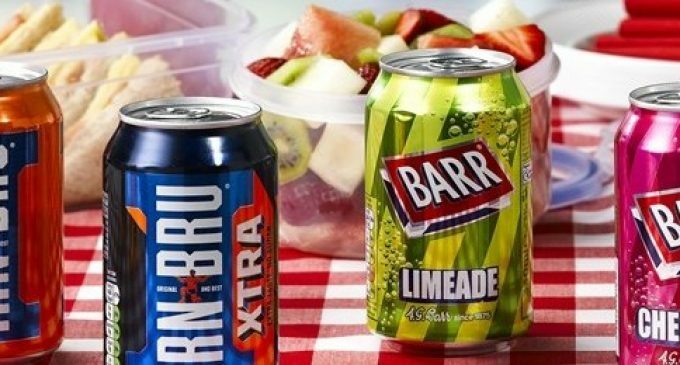 Despite the volatile operating environment throughout 2018, AG Barr, which produces and markets some of the UK’s leading drinks brands, including IRN-BRU, Rubicon, Strathmore and Funkin, managed to deliver against its long-term strategy. Market growth in the UK soft drinks market, as measured by IRI, was characterised by the significant acceleration of value growth ahead of volume, with value up 8.1% and volume up 3.0%. This was especially evident in the carbonates category, where value grew 11.6% and volume increased by 2.7%. With value growth across the UK soft drinks market, the only sub-sector in decline was juice drinks as consumers continue to choose water, flavoured water, functional or traditional carbonates.